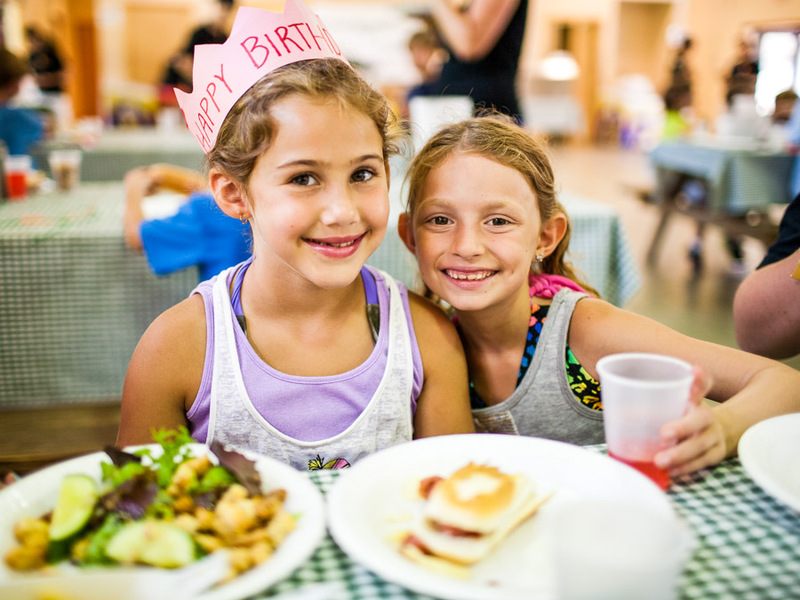 Days at camp are filled with energy and activity—making a healthy, filling lunch essential. 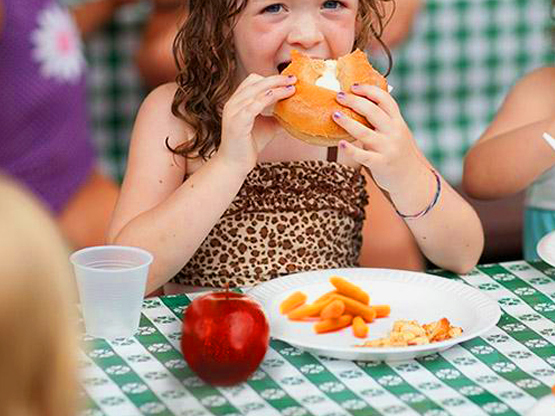 At Deer Mountain, we offer foods that children love while staying mindful of health and nutrition. Lunch is served restaurant style, with options everyone can enjoy. In addition to a hot daily entrée, campers have access to substitutions of their choice: a Boar’s Head turkey or tuna salad sandwich, a bagel with butter, or a yogurt. Our salad bar is always filled with fresh and exciting toppings, like edamame, tofu, and hummus. For a hot option, our pasta bar is stocked with an array of sauces. We’re selective about what we feed your child—baking instead of frying, offering predominantly whole-wheat products, and always ensuring quality and flavor. 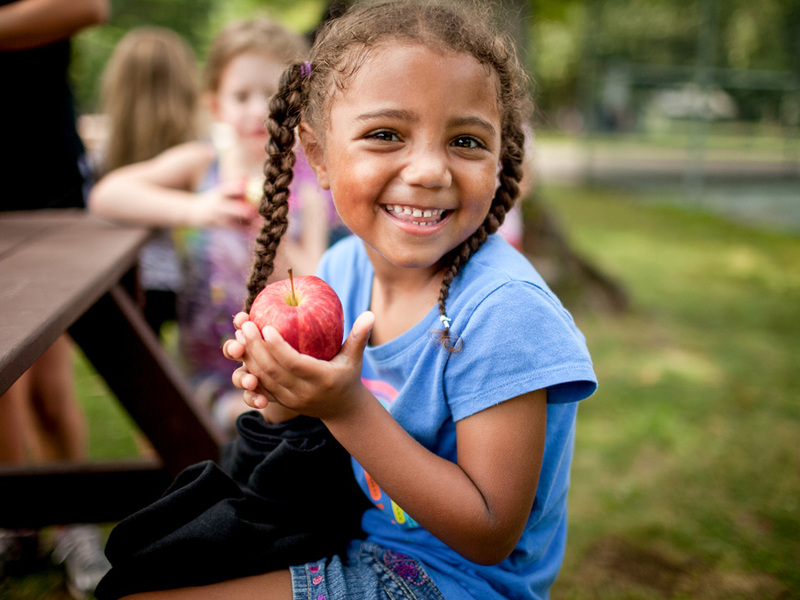 Each morning, your child snacks on an apple or fresh fruit. In the afternoon, we offer pretzels, ice cream, and ice pops. On hot summer days, hydration is essential. Water is available across camp all day as well as in all buildings. Your child will be refreshed and ready for an active, fun-filled day. DMDC is a peanut-aware camp. We take careful note of food allergies before the summer begins. A dedicated camp mom oversees all things food at DMDC. She is your point person when it comes to your child’s dietary needs and restrictions. If allergies are present, we accommodate—creating tailored menus that address his or her needs with filling, delicious options. We address your child’s dietary needs while making him or her feel comfortable and satisfied. 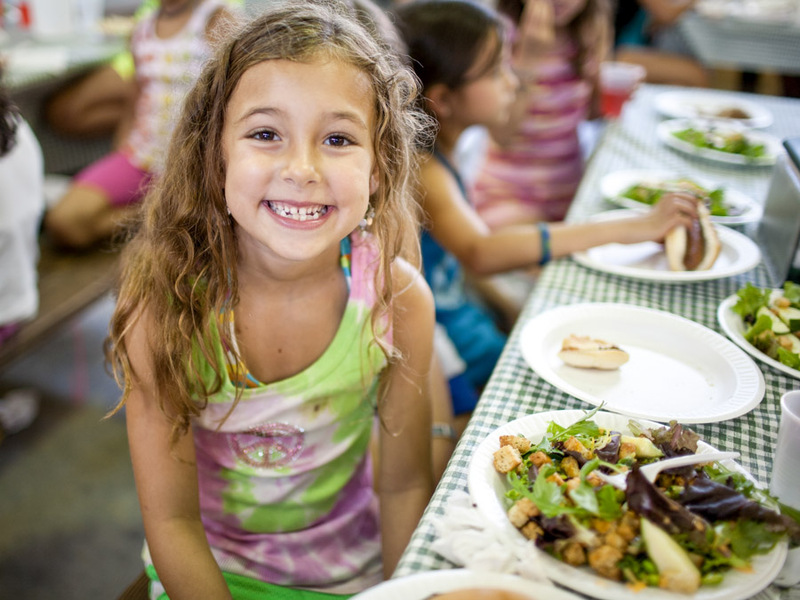 DMDC balances camp fun with healthy, delicious, and nourishing meals. Download our menu.